What would you do if you lost a pet? Where would you go if you found one? At the Rainbow Street Shelter a cockatoo will greet you and a little round dog will make you welcome. All the animals there need children to be their friends. 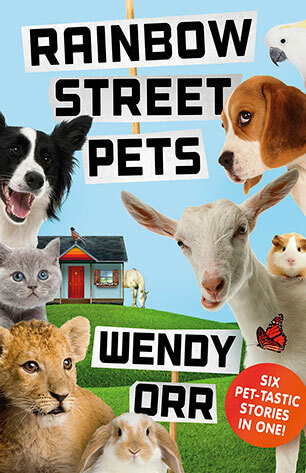 Meet Bear the border collie, Buster the marmalade cat, and Bessy the goat, as well as rabbits and guinea pigs and mice. There’s even a pony called Pebbles, but where does a lion cub fit in?